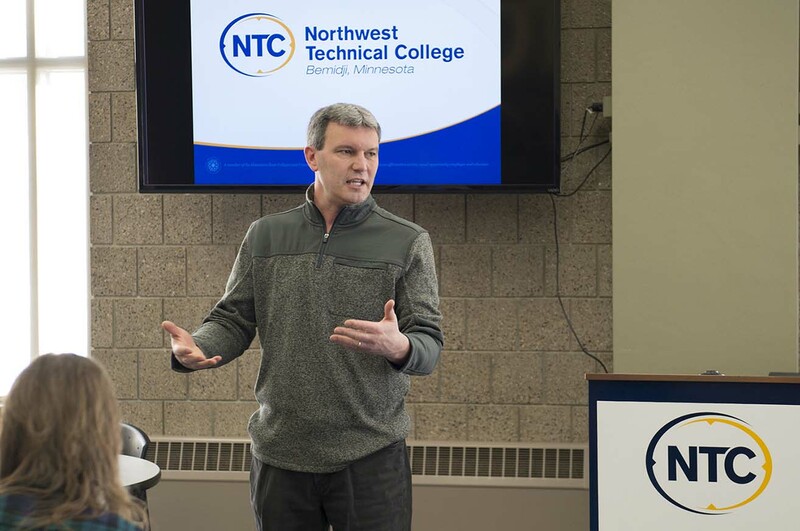 Darrin Strosahl, vice president of academic and student affairs for NTC, opened by sharing data from a pair of studies — one by the Minnesota Department of Employment and Economic Development and one by the Neilson Foundation — on the Bemidji-area workforce which illustrated the perceived need for a more highly skilled workforce. “At NTC we recognize the value of a highly skilled workforce, and the demand for that workforce,” he said. 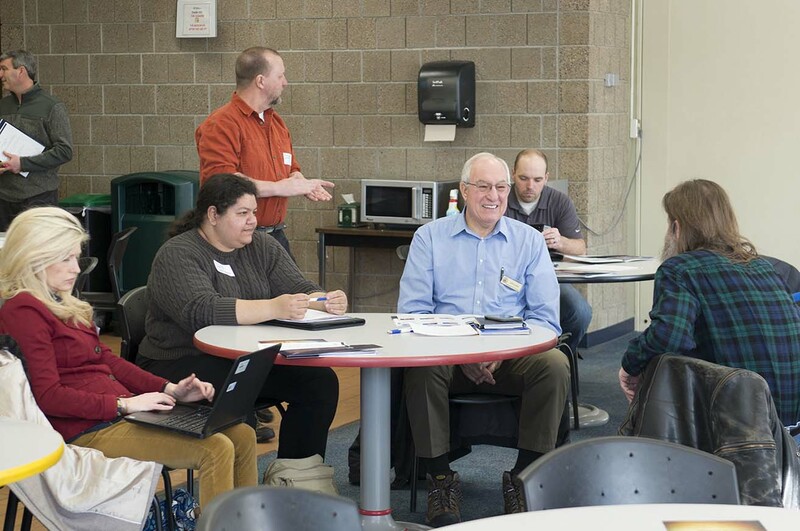 Strosahl added that NTC’s role was to help students see clear connections between education and employment. Managers at PotlachDeltic’s wood products location in Bemidji understand the region’s employment shortage all too well. Jerry Wizner, maintenance supervisor at PotlatchDeltic, said the company is consistently on the hunt for new avenues to recruit employees with what he calls “high-dollar skills.” Cultivating those skills through its own training and internal development efforts has been challenging as well — particularly in jobs traditionally held by electricians. 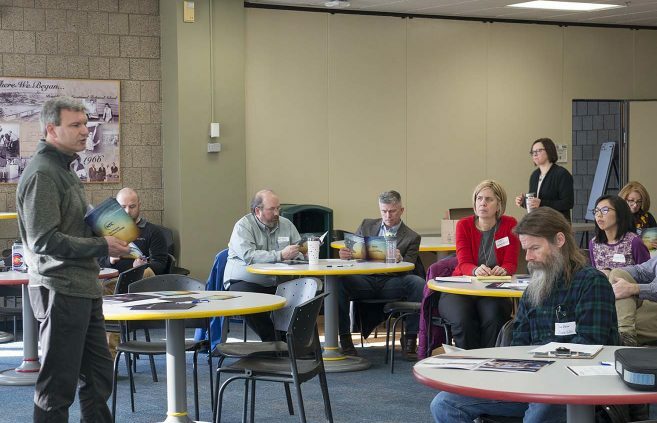 Dave Close, manager of services at InfoMeld Data Enhancement and Services, said the workforce shortages have led his company to revisit familiar territory to meet its needs. “We are re-hiring previous employees and retirees because new hires don’t have the skills we need,” he said. 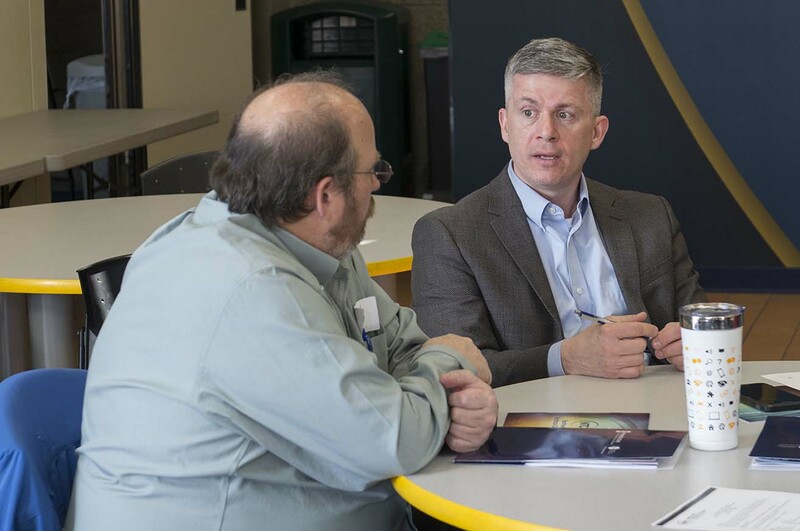 Participants in the listening session reviewed coursework offered as part of NTC’s production technologies certificate, which is supported by the Minnesota State Advanced Manufacturing Center of Excellence. 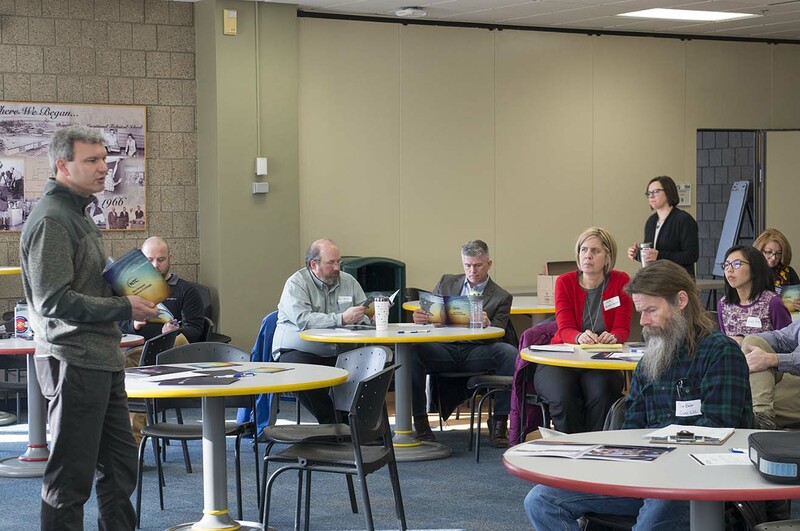 That 16-credit program is structured as an introduction to manufacturing and production technologies, with courses in print reading, maintenance and safety awareness, manufacturing processes and production, among others. “What should this program be in order to meet your needs?” Strosahl asked. Several participants in the listening session noted the increasing demand for expertise with programmable logic controllers (PLCs) — computers specifically designed to guide manufacturing processes or other activities that require reliable, accurate controls. 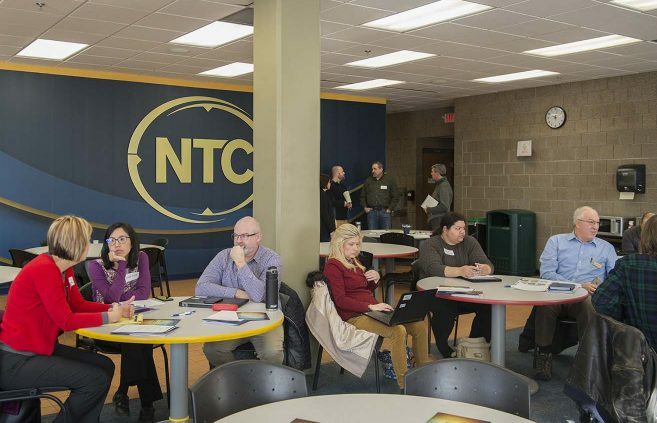 The group also reviewed the curriculum for the mechatronics emphasis area in NTC’s 60-credit associate of applied science degree in engineering technology. Mechatronics is a broad field which encompasses both electrical and electronic systems and the mechanical controls that operate them. While there was extensive conversation on NTC’s program, most agreed it seemed well-positioned to provide training and skills they would find valuable as employers. 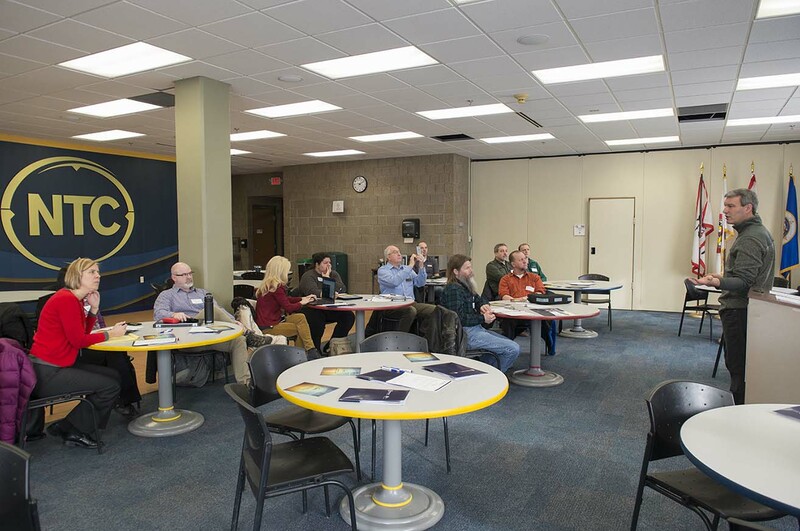 The group also explored the value of adding introductory courses in hydraulics or internship requirements into the program. 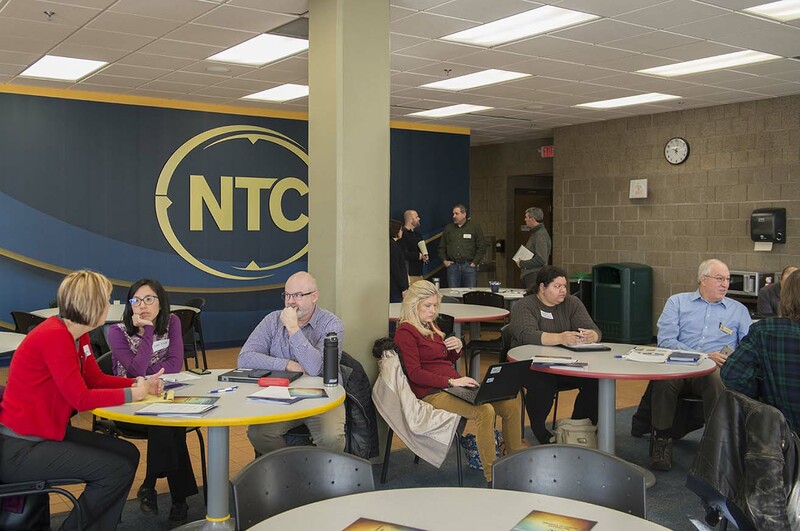 Strosahl said the listening session’s ultimate goal was to help guide NTC’s decisions about the future of the program — which included a decision about hiring an unlimited full-time faculty member to oversee the program and developing deeper partnerships with business and industry. 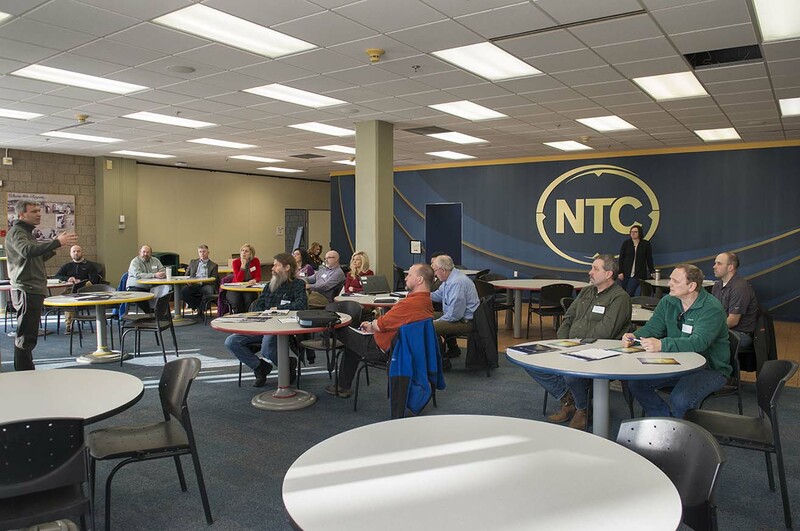 And, he reminded the group that NTC is uniquely qualified to help address their workforce needs.